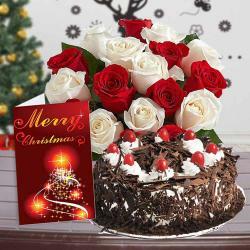 Product Consists : Bouquet of 20 Red and White Roses in a cellephone wrapping with a matching bow, 16 Pcs of Ferrero Rocher Chocolate along with Christmas Greeting Card. 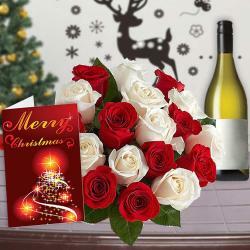 With the riot of white and red colour roses in a spectacular bouquet, you can win over anyones heart easily. The splendid roses are handpicked by florists and are all set to make an impression on anyones heart. 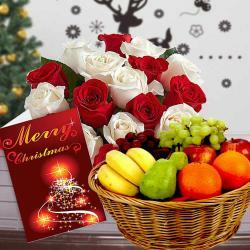 With these lovely roses bouquet, we also have put together Ferrero Rocher chocolates and an expressive Christmas greeting card. 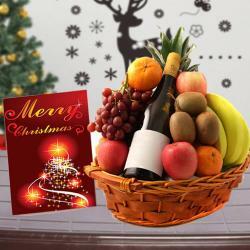 Make anyone elated from within by sending them this love filled gift. Product Consists : Bouquet of 20 Red and White Roses in a cellephone wrapping with a matching bow, 16 Pcs of Ferrero Rocher Chocolate along with Christmas Greeting Card.